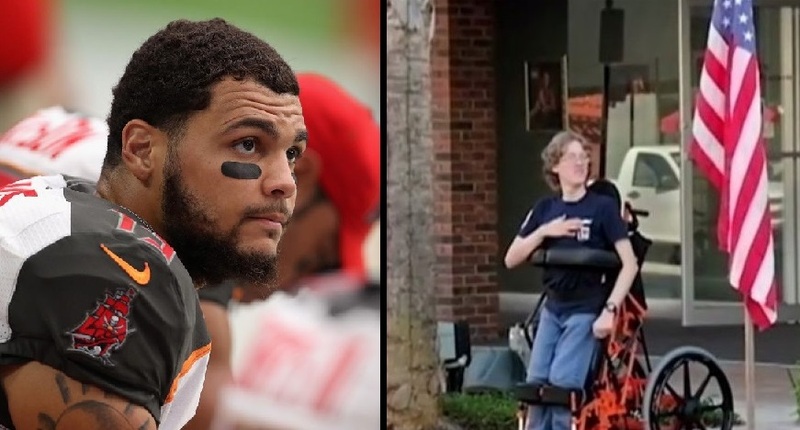 This Sunday, Mike Evans of the Tampa Bay Buccaneers refused to stand during the National Anthem. 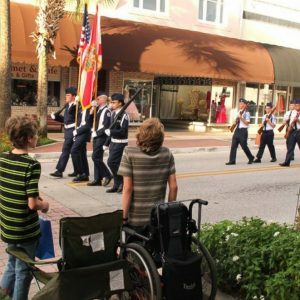 Evans claims that he did not mean to offend any veterans, and that he sat as a protest against Trump’s election as President of the United States last week. “I’m not a political person that much, but I got common sense. And I know when something’s not right,” Evans said in an interview. Many, however, are criticizing Evans’ decision, especially as the month of November is a sacred time for the NFL to honor our nation’s military and veterans. Regardless of Evan’s reasoning, or the claim of “freedom of speech,” many feel that the NFL field isn’t the place for personal opinion to be expressed. Evans is anticipated to make almost $4 million this season, and many children across the country look up to football players like him as role models. Freedom of expression is one thing, but to do so on national television while being paid MILLIONS of dollars, is a different scenario. 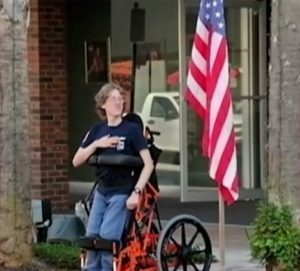 People say it is Mike Evan’s right to sit for the National Anthem, and maybe it is, but I think many viewers have exercised their rights and not bothered watching or attending judging by the low viewership. At some point the NFL will exercise their right and replace Mike Evans and those like him and they will claim discrimination. In Canada, our football league is going into their playoffs. Last week, I watched the pre-game in Hamilton, Ontario for the East semi-finals. Not a player, coach, fan or singer saw fit to take a knee or sit during the National Anthem. The funny part is that many of these players are American, so if they can stand for our National Anthem, why can’t you stand for your own.